In the just-reached budget deal, not a dime goes to the construction of a new wall between Mexico and the U.S.
And when you look at just what has transpired in just over three short months — be it a refugee ban that died on arrival, a national security advisor stepping down within weeks due to legally dubious ties with Russia, or the ongoing game of chicken with North Korea — in certain respects Donald Trump is right. Alas, it seems that Trump’s signature promise — right up there with draining the swamp and jailing Hillary Clinton — may be harder to achieve than he thought: Building the wall. To avert a government shutdown, on Sunday the U.S. Congress came to an agreement on a $1 trillion funding package which it will vote on this week. After what those on the Hill have called “tense” negotiations, Trump came away with a $1.5 billion increase in border security measures, as requested by Congressional Republicans. However, none of that money is to go to construction of a border wall between the United States and Mexico. In fact, the funding comes with “strict limitations” that the Administration use it solely for the sake of investing in technology or repairing existing infrastructure. Of course, it should be noted that Trump’s wall proposal wasn’t exactly new or novel. While the border is over 2,000 miles long in total, approximately 700 miles of border fencing already exist between the two countries, much of it coming under the Obama Administration vis-a-vis the Secure Fence Act. In 2006, President George W. Bush signed the bill into law as part of an effort to “protect the American people” and to curb undocumented immigration into the country. 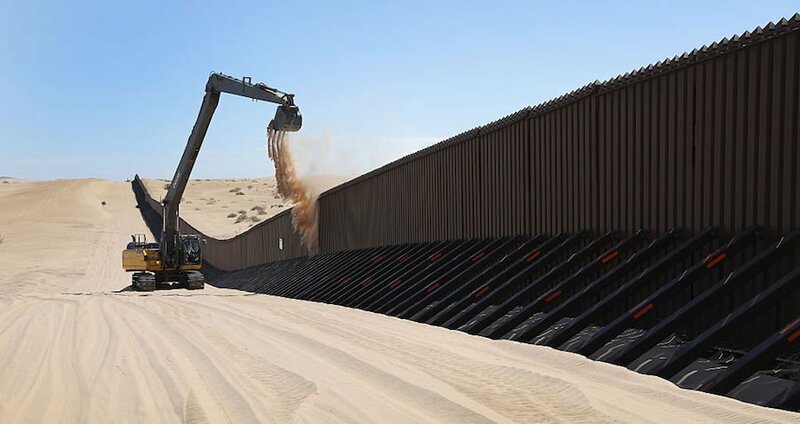 The law, which passed in the Senate with a vote of 80-19, authorized around 700 miles of fencing along certain stretches of land between the U.S.-Mexico border. Next, read up on what political leaders living closest to the already-existing border think of Trump’s proposal.